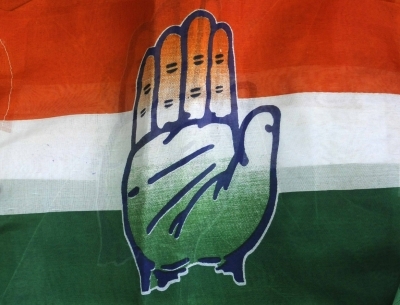 FEB 25 (WTN) - After UP, now in Madhya Pradesh, BSP and SP have shunned the Congress for the Lok Sabha elections. Bahujan Samaj Party President Mayawati and Samajwadi Party President Akhilesh Yadav have jointly announced to contest Lok Sabha elections in Madhya Pradesh together. Both the parties immediately issued a press release informing about contesting Lok Sabha elections in Madhya Pradesh. For your information, let you know that there are 29 Lok Sabha seats in Madhya Pradesh and the BSP-SP alliance will contest in all these 28 seats. Samajwadi Party will contest on 3 seats and BSP will contest on 26 seats in the state. In UP, where both parties are contesting in almost equal seats, in Madhya Pradesh, BSP is contesting on 23 more seats than SP. Clearly, in Madhya Pradesh, contesting on 26 seats out of 29 seats, BSP will be seen as big brother role in Madhya Pradesh. According to the information, the Samajwadi Party will contest on two constituencies of Bundelkhand region like Tikamgarh and Khajuraho besides Mahakaushal's Balaghat seat. On the remaining 26 seats of the state, BSP will contest in the elections under coalition. For your information, let you know that in Madhya Pradesh, both the BSP and the SP have good hold in those districts which are attached to UP. In the recent Madhya Pradesh assembly elections, BSP and SP have not been able to repeat their previous performance, but again after getting no absolute majority to any party in Madhya Pradesh assembly election, to keep away BJP from the power, two MLAs of BSP and one MLA of SP have give outside support to the Congress. If we talk about the last Lok Sabha elections, then both the BSP and SP did not win a single seat in Madhya Pradesh in the 2014 Lok Sabha elections. In Madhya Pradesh, out of the 29 seats, the BJP had won 27 seats and Congress could win only 2 seats. At the same time, the BSP managed to win one seat in the 2009 Lok Sabha elections. Earlier, in the Lok Sabha elections of 2004, the BSP and SP got disappointed from Madhya Pradesh. Now it is necessary to see how much benefit the BSP and SP get after the alliance in Madhya Pradesh, and how do they show their base between the strong parties like BJP and Congress? But in the Lok Sabha elections, it is imperative to question on the coalition of these two parties, because when both parties have supported the Congress to keep the BJP away from forming the Government in the state then to defeat the BJP in the Lok Sabha elections, why not these two parties made alliance with Congress?